Does your storage shed look like this? Are you constantly wasting precious time you could be using to enjoy your garden? If you need 10 minutes just to locate a tool, it’s time to de-clutter. No matter what you use your shed for (tool storage, as a greenhouse), learning how to organize your storage shed will save you time, space, and energy. And there’s no need to buy another shed, just to stuff it with more junk, right? In a hurry? 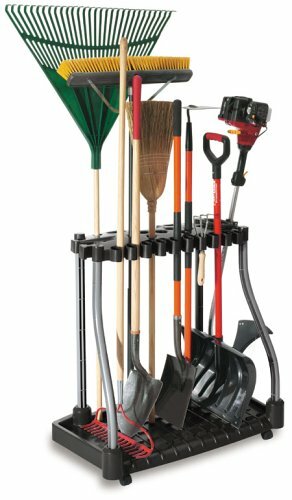 This organizer keeps most of my gardening tools in one spot! Sturdy and compact, it’s a must have for any serious gardener! 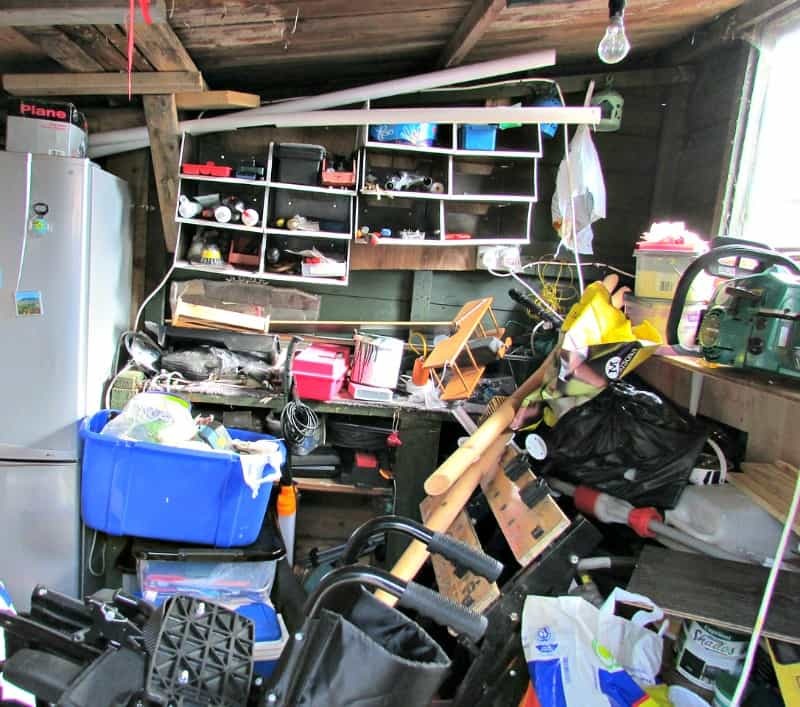 Start by removing everything from your shed: this way you can actually see what’s making up the mess. After removing all your items, make a quick mental inventory of what you have. You may find long lost tools and gadgets, but you’ll also find a lot of trash. Take time to sort through what you puled out of the shed. Be honest with yourself – there will always be those items you no longer need. Since you sorted through your stuff, this should be an easy step and will make you feel really good. Take the trash away to the dump as soon as possible. This will immediately give you a sense of accomplishment. Give away those still usable items you no longer need. you can give them to a neighbor, a family or friend, or just donate them to a thrift store. You may not want to stop for this step, but pile everything you need to give away into a box (or several), and put them in the trunk of your car. Now you should only have those important things you’re keeping. Finally, after removing items you no longer want and prioritizing those you’re keeping, it’s time to put it all back. 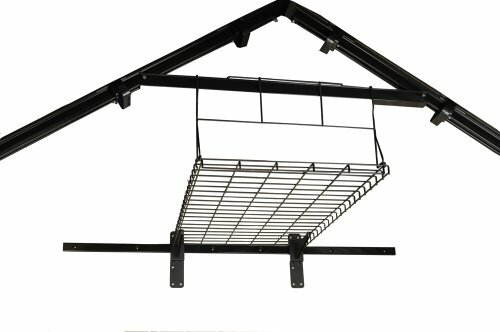 And for this, you want to make the best use of your shed space as possible. Fortunately, there are a myriad of organizing solutions available. 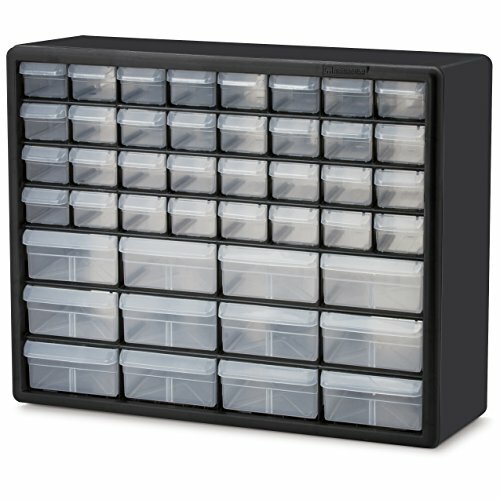 From cheap and effective home made storage to specialized and highly efficient store bought solutions, you can be sure something exists to hang up that tool or organize those supplies. It’s time to think about which tools you will use most frequently. Put these items in the most convenient locations. 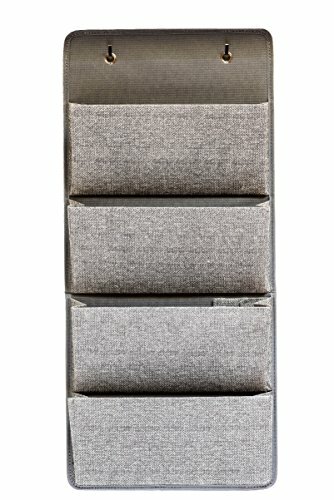 The goal here is to make your most used items easy to reach, whilst lesser used items can be stored in the more difficult places. This will save lots of time and energy when you retrieve them later on. It will also increase your motivation to put everything back the way it belongs. Here are a few ideas to help you organize your shed. 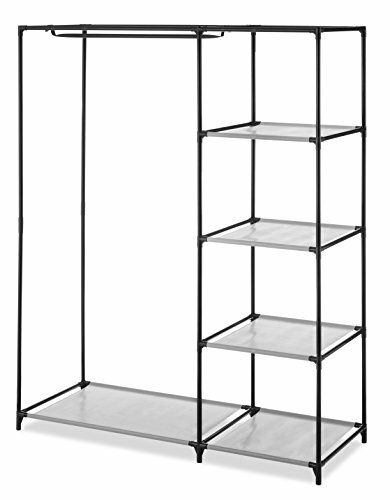 Shelves make organizing easy. Obviously you’ll want these, but you don’t have to buy them. Just get some scrap wood and some L brackets and go to work. Put them between joists, stack them, add them wherever they fit best. This is a super common space saver, and today they come in all shapes and sizes. 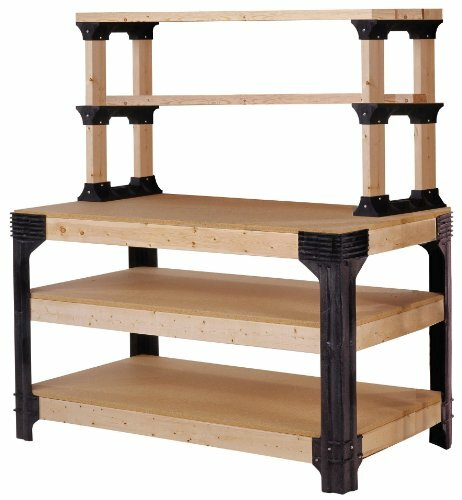 Some with little drawers for small things, and some with big spaces that carry a lot of weight. 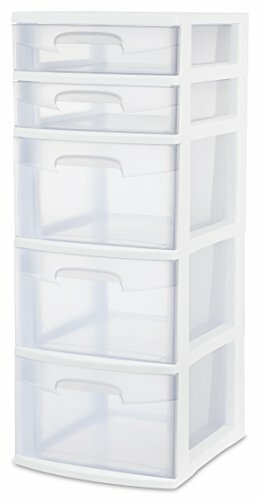 These serve as multi-purpose home storage bins. Screw the lids to the bottom of shelves and fill the jars with nails, screws, seeds, or other small items. 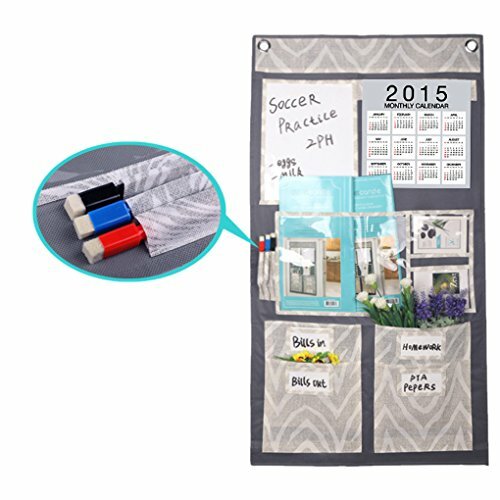 Whether it be leather, vinyl, or other cloth, a hanging organizer with pockets can give you easy access to tools on the door, or in odd odd shaped spaces of your shed. 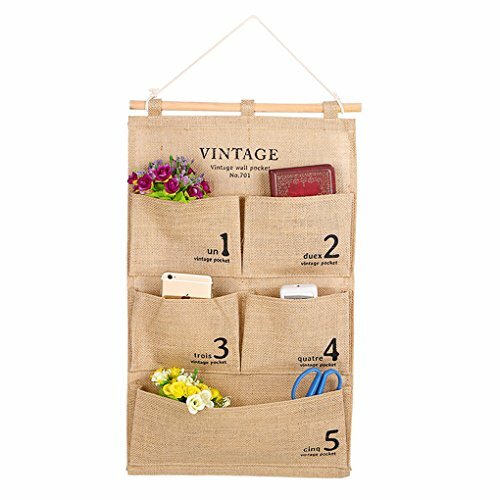 Creative Multi Pockets Over The Door/Wall/Closet Hanging Storage Organizer Linen/Cotton Fabric Over Wall Door Closet Window Hanging Storage Case Organizer Bag 4 Pocket Fabric Wall Organizer. Closet Storage for Hanging Over the Door. You can buy these or rescue some from around the house. They work for everything from bicycles to sleds to unused hanging planters. They fill spaces on the ceiling which otherwise might remain empty, and lonely. 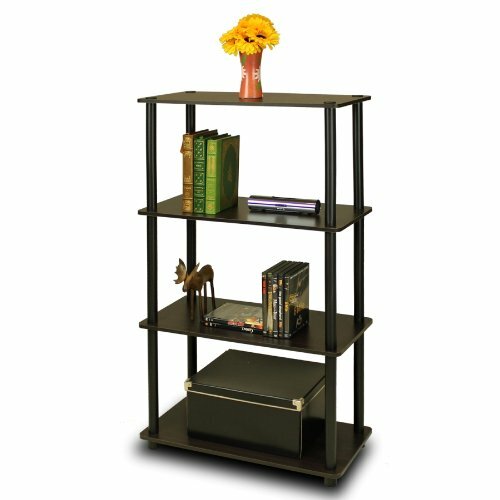 There’s always some old furniture around: at garage sales, thrift stores, or your neighbor’s basement. Look for trunks, dressers, stands, etc. 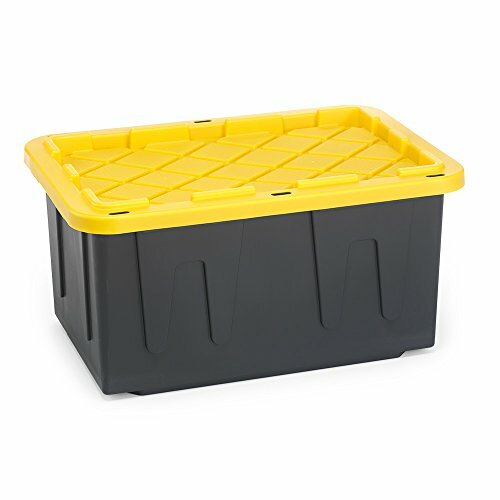 They can be used instead of buying plastic storage bins. 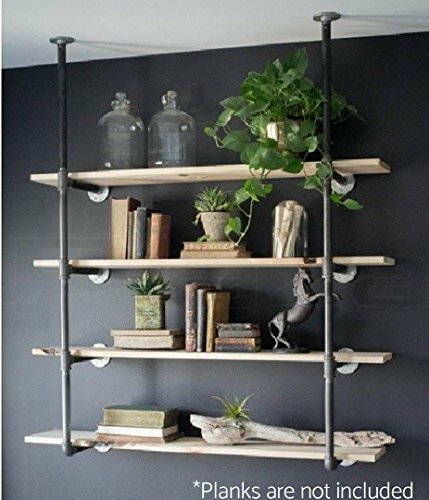 They also create more shelving space, and sometimes they’re even thin enough to hang on a wall! Yep! That’s right. Once you learned how to organize your storage shed, it should be a lot easier to maintain it that way. Might be a good idea to periodically plan a decluttering day: the change of seasons is a great time to do this. 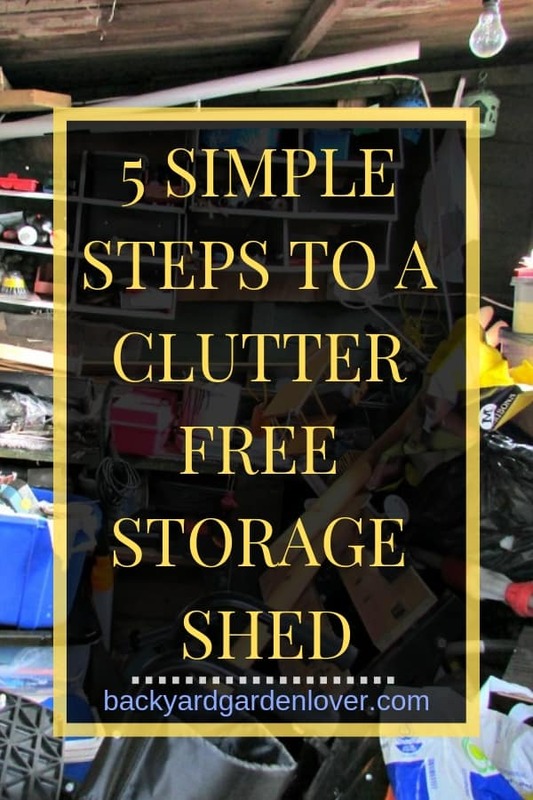 Now take a deep breath and plan to tackle your storage shed clutter. You’ll shed a few pounds of junk and feel a lot better!